In order to help consumers make the right purchase decision when shopping for a new vehicle, the team of journalists at The Car Guide publishes its yearly Best Buy awards in a slew of categories, including the compact-car segment. The latter remains a popular one, despite the market shift from cars to utility vehicles. 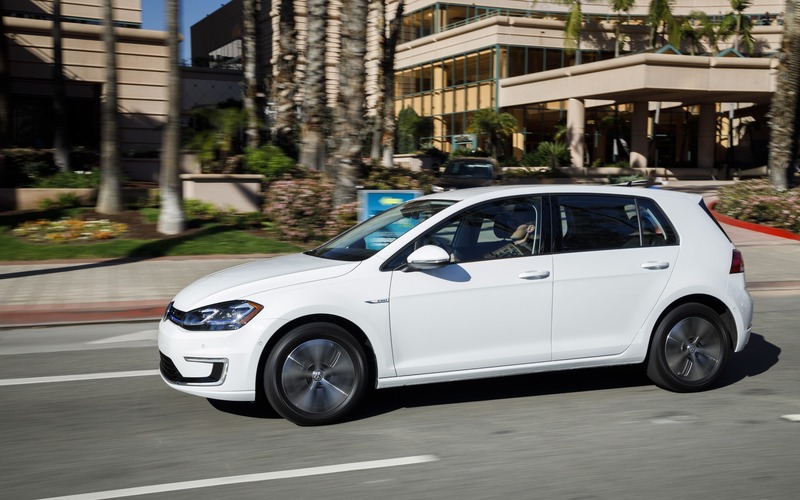 The 2019 Best Buy in the compact-car category is the Volkswagen Golf, available in five-door hatchback and wagon body styles. It’s equipped as standard with a turbocharged, 1.4-litre four-cylinder engine that develops 147 horsepower, and when the optional all-wheel drive system is added, the SportWagen relies on a turbo 1.8-litre engine good for 168 hp. The Golf is also offered in performance-infused GTI and R variants, which respectively boast 228 and 288 horsepower in addition to serving up a resolutely dynamic driving experience. The fully electric e-Golf is blessed with a driving range of up to 201 kilometres. As for the Golf Alltrack, it benefits from a more robust appearance and a raised ride height to hit the off-road trails—light off-roading, that is. In fact, we love every version of the Golf for its playful character. Fuel-efficient and equipped with an ergonomically friendly infotainment system, the Golf gives the impression of being in a premium car for the price of a mainstream brand. And let’s not forget the segment-exclusive wagon version, which is just as versatile as many compact SUVs. The 2019 Volkswagen Golf retails from $22,500 before freight and delivery charges. In second place in the compact-car segment, we find the Hyundai Elantra (MSRP from $16,999), in sedan and five-door hatchback body styles, that stand out by their excellent value, their ride comfort and their reputation of reliability. In third place, we find the Honda Civic (MSRP from $17,790) that’s available in sedan, coupe and five-door hatchback configurations. Its diversified range notably includes the sporty Civic Si trims and the beastly Civic Type R that boasts 306 horsepower. However, the Civic particularly shines by its solidity, the comfort and space of its cockpit and its comprehensive list of advanced safety features.